What a brilliant gift you gave us on the night before you died. You gave us a simple meal and a promise that we would receive the forgiveness of sins each time we take it. It's the new covenant agreement between you and humanity. Your law covenant failed because we are riveted in sin. But your grace covenant forgives sin and so we find our way back to you at every turn in this covenant. They say, "It's the thought that counts." 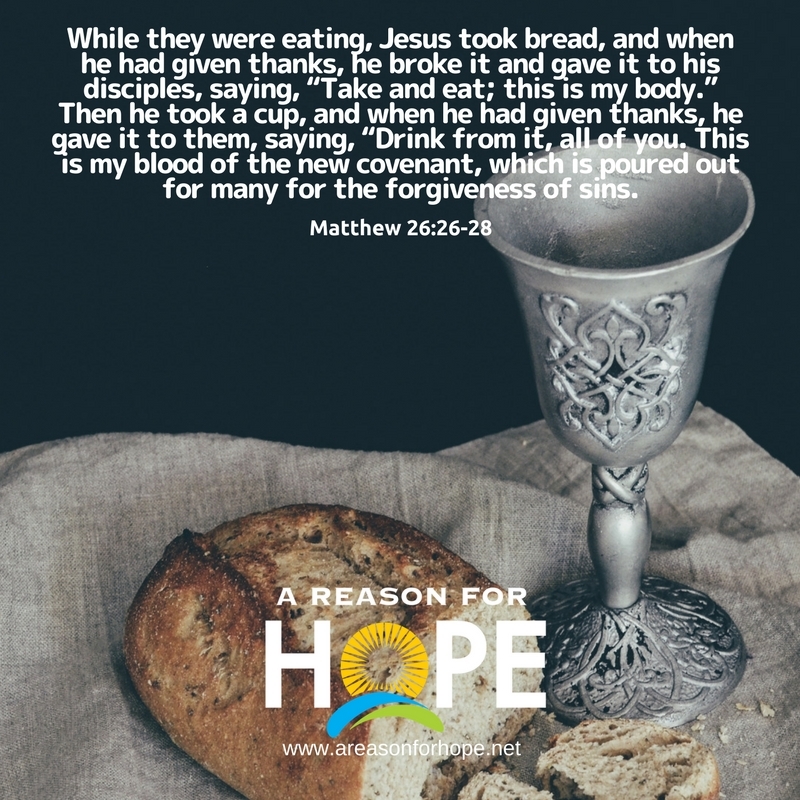 Nothing could be more true of the Lord's Supper that you gave us. Your thought to forgive us sinners counts for us and makes us believers in you as the God who lives by grace. I will use this Supper to rekindle my trust in you and my love for people each time I take it. The Lord's Supper is the meal that shouts, "Grace" to every heart that comes to it looking for God.